Spectacular Tasmanian wildlife viewing experience with campfire dining. See forester kangaroos, brush-tail possums, eastern quolls and Tasmanian pademelons while wombats and Bennett’s wallaby graze close by. 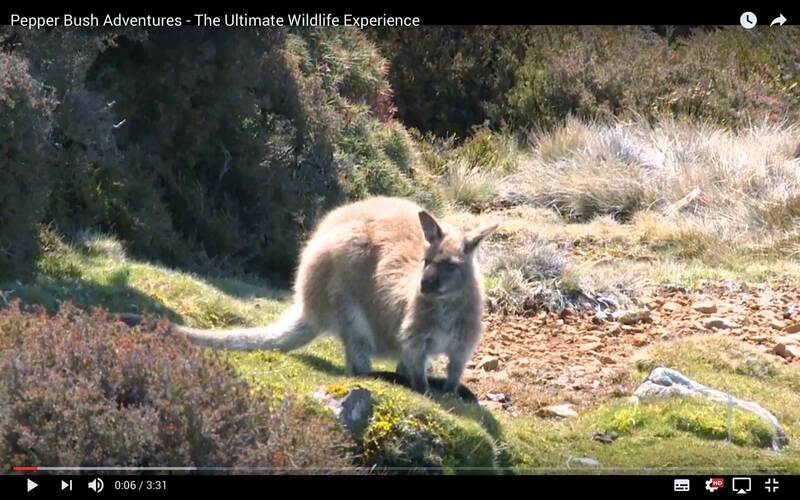 Internationally reviewed as one of Australia’s most exceptional nature experiences and remarkable Tasmanian wildlife viewing tours – discover the wilderness, wildlife and tastes of Tasmania on this afternoon/evening tour. Enjoy the ambience of superb campfire dinner followed by sensational wildlife viewing which focuses on the antics of the eastern quoll in its natural habitat. Dine with the forester kangaroos, see brush-tail possums, eastern quolls and Tasmanian pademelons while wombats and Bennett’s wallaby graze close by. For the best Tasmanian wildlife viewing experience we suggest to package the Quoll Patrol with our Canopy Capers tour. Visit Ben Lomond National Park, a spectacular mountain of dolerite columns and scree slopes and home to eight of the twenty highest peaks in Tasmania. Awesome views and a magnificent array of alpine vegetation are on offer. Ben Lomond plays an invaluable role in regional wildlife conservation and is the highest drivable point in Tasmania. Travel via the Roses Tier forests to gather some bush herbs en route to your evening destination. Tasmanian wildlife viewing at its best – you will be delighted and enchanted while sitting by the campfire as the wildlife appear at dusk. Forester kangaroos, eastern quolls, Tasmanian pademelon wallabies and brush-tail possums feed near the campfire while Bennett’s wallabies & wombats graze close by. At times, platypus, tawny frogmouths, bandicoots and owls can also be viewed. Outstanding wildlife photography opportunities on offer.